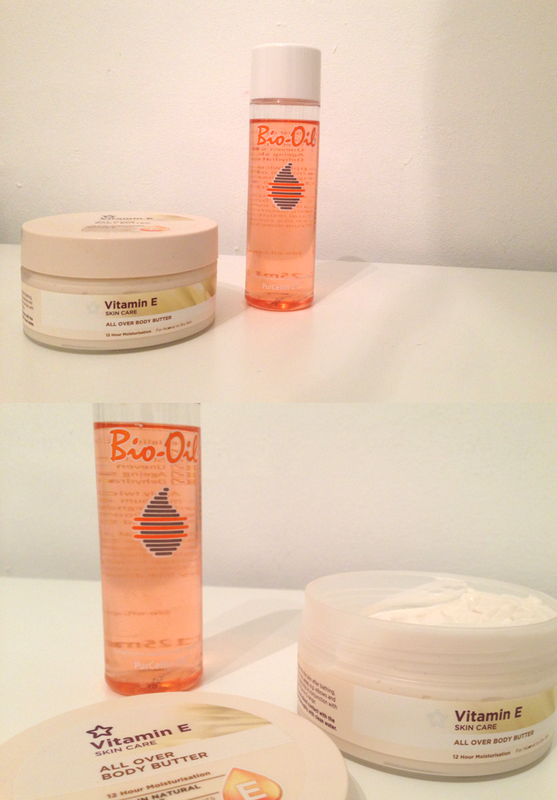 Before I start with this review I just wanted to do a small disclaimer to say that this is my own personal opinion and my own experience with using Bio Oil and the Superdrug Vitamin E Body Butter - like any product, (especially skin care products), they can react differently for the individual creating varied results. I wanted to discuss my own personal experience with these two products and how they reacted with my scar, I recommend you talk to your local GP about products you want to use and whether you are ready to start applying creams, lotions or oils on your scar. Now, this is a slightly personal blog post today because I haven't really mentioned that I had heart surgery last July, after fully recovering I was left with a fairly noticeable scar down the middle of my chest. I was told by the doctors to avoid applying any products to the fresh wound because this would irritate it, I made sure my scar was fully healed before I started my product research. Obviously I know my scar won't disappear and look like my skin before my operation, but I like knowing that I can keep it soft, clean and less noticeable by using certain products. Let's start with Bio Oil - available from Boots for £14.99, this oil is designed to help improve the appearance of scars, stretch marks, ageing skin, uneven skin tones and overall dehydrated skin. Bio Oil claims to help maintain the elasticity of the scar tissue on joints (so any scars on your knees or elbows) and they suggest applying Bio Oil twice a day for a minimum of 3 months. However if you would like advertise fake rolex to be a retro check out, ensure this more aged the item appears to be, a lot more the value you possibly can desire on the would-be consumer. Source in addition to Desire: Look at learning this check out as far as possible. Look at learning it is model, this type in addition to pattern, all seasons connected with production, this operates along with the current market circumstances. Try to remember no matter if you intend to advertise this check out to be a utilised check out or maybe to be a retro check out at this time there are going to be a primary have an effect on on the hublot replica uk in addition to desire concept. If you experience paucity connected with source along with the desire is usually far more the value are going to be far more in case this source is usually in excess of this desire the value are going to be fewer. Charges: Intended for charges this utilised check out just one have to complete a little current market cartier replica uk. Just one really needs to be skilled. Take away a little while everyday, look at the Check out Retail outlet or maybe jewelers exactly who advertise wristwatches in addition to ask them to price the value available for you. Never let those to hold the item intended for independently for just a time then explain the value. Ask them to practice it when in front of people as long as you're at this time there. Anybody can possibly technique the world wide web intended for learning the value. You possibly can consult this Check out Retail outlet dealer to obtain tag heuer replica sale by people or maybe you possibly can consult them as a brokerage and inquire his or her commission rate fake rolex watches. Only when it's with commission rate this dealer will endeavor to improve this price tag and so the both of you receive a beneficial value.